Meticulously kept home w/2 bonus rms & an updated kitchen & baths. Spacious floor plan w/a lrg formal living rm & step up formal dining rm. Family rm w/sliding glass doors that lead out to the covered patio.2 Bonus rms could be used as BR's, office, gym & more. Tool rm/workshop is off the bonus rm. Kitchen w/plenty of counter space & bay window. All BR's upstairs w/updated baths w/tiled shower/tub combo.Perfectly landscaped w/fenced bkyrd & storage shed.Roof is only 2yrs old .New interior paint! Foxfire $156,000 3BR/2.5BA Plus 2 bonus rm w/over 2,000sqft. 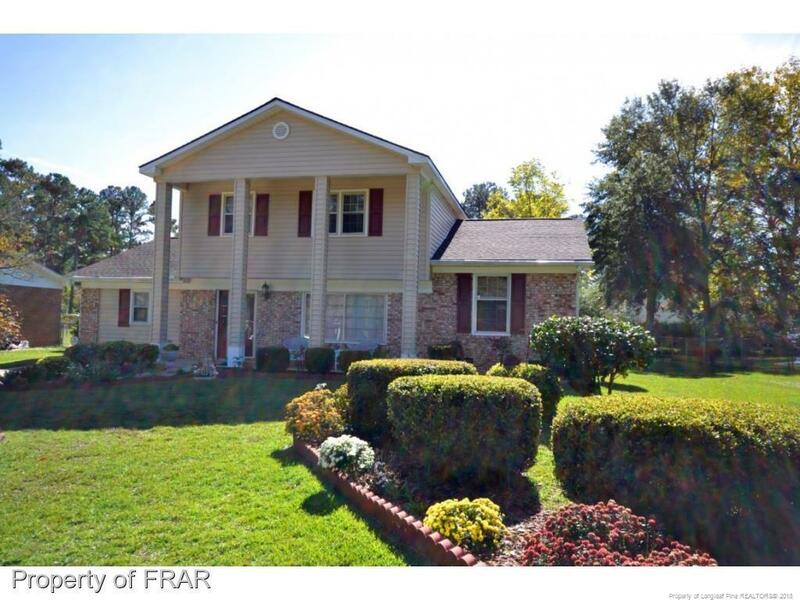 Meticously kept home 5min to Ft.Bragg.Updated kitchen & baths. Home has both formals,family rm & spacious kitchen w/lots of counter space.2 Bonus rms & a tool rm on the main floor. All bedroomsupstairs.Covered back patio & fenced back yard w/storage shed. 1Yr home warrantyprovided.Move-in ready! Directions: Skibo Rd, Left On Yadkin, Left On Brookfield, Left On Foxfire, Left On Glen Canyon.